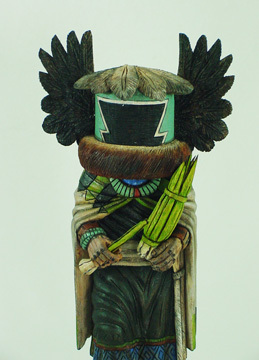 The Crow Mother or Angwusnasomtaka Kachina is considered by many Hopis to be the "mother" of all Kachinas. She is a figure of great dignity. 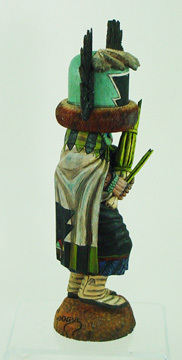 She appears during the Powamu Dance on all three mesas, during the initiation ceremony for the children. At the initiation rites she descends into the kiva bearing a large number of yucca blades bound together at the base. She takes a position at one corner of the large sand painting on the floor of the kiva, with one of her "sons" on either side of her. As each child is brought in for the ceremony, the Crow Mother supervises the initiation in the kiva. 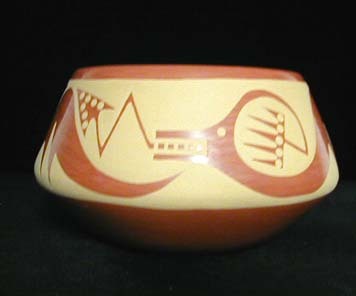 She would supply a whip to the Hu Kachinas who would then gives each child four healthy strokes. 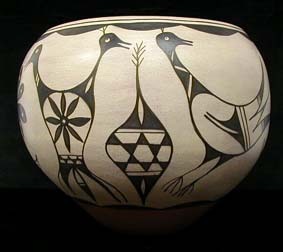 When the yucca becomes worn it is handed back to the Crow Mother who then supplies a new one. When the initiatory whipping is over, she raises her skirts and receives the same treatment accorded the children. The children are then rewarded with a prayer feather and a meal before leaving the kiva. 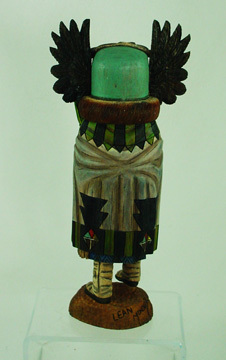 Kachina dolls of Crow Mother were plenty twenty years ago but are not as commonly made today. 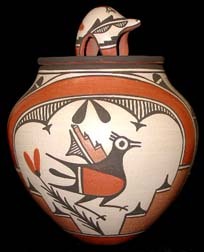 Refs: Barton Wright, Kachinas: a Hopi Artist's Documentary, and Hopi Kachinas, Edward A. Kennard and Edwin Earle. Lean Monongye was born on November 29, 1972 in Keams Canyon, Arizona. 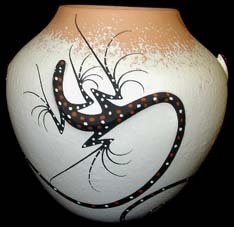 He belongs to the Coyote Clan of the Hopi Tribe and currently resides in Third Mesa, AZ. 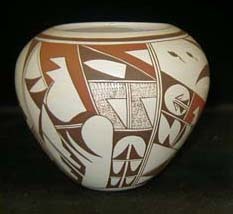 Lean started carving in the late 1980's having been taught the art of carving by well known artists Sam and Brandon Kayquoptewa. 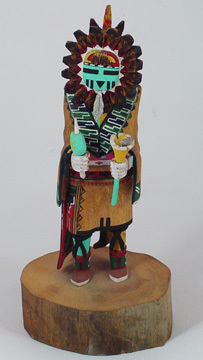 He effectively combined what he learned from them and added his own technique and style into his Kachina doll carvings. His favorite part in the making of a doll is painting it. 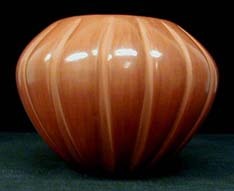 Lean's finishing touch is one of the most recognized and admired finishes. Lean always wants to make his dolls look different and unique so that his work can be distinguished. 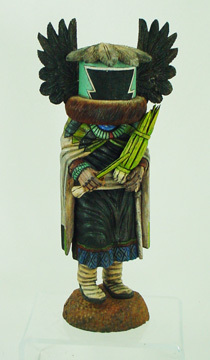 The haunting black face of this Crow Mother gives a strong indication that he is succeeding.